When it comes to designing an enclosure for your battery pack, most designers are not familiar with battery regulatory requirements which can lead to complications. Understanding the design and management elements can help avoid production process complications. 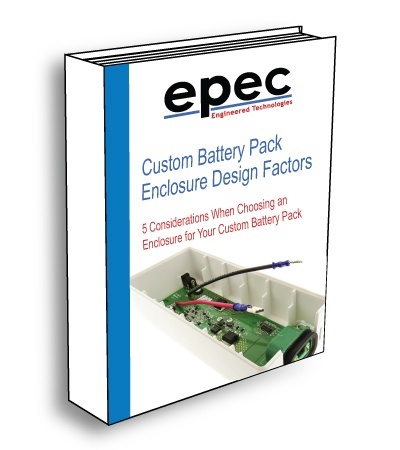 Download this Ebook, to learn these considerations and challenges you may face when designing an enclosure for a custom battery pack. With any enclosure, the most important aspect is that it must be able to support the battery itself. It must also pass rigorous tests - especially when associated with transportation safety certifications. The application and environment the battery pack will be used in are can have a major impact on cost, lead time, and expected performance.